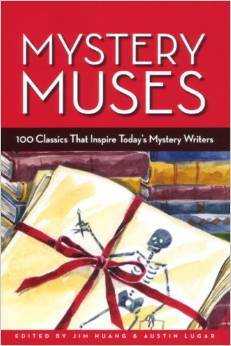 For this anthology, the editors asked 100 published mystery writers: "Did a mystery set you on your path to being a writer? Is there a classic mystery that remains important to you today?" The answers are in this collection. My answer was... "Harriet the Spy" by Louise Fitzhugh. 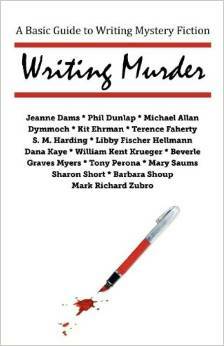 Fifteen successful Midwestern authors contributed essays on the basics of writing mystery novels to this book. Writing Murder shares their insights on fiction elements: setting, characters, point of view, dialogue, plot, and research. In addition, they offer insight on the genre, how to build suspense, point of view, the circle of openings/endings, and marketing your manuscript. My essay was on pacing in fiction. Every now and then, a poem possesses me. Even more rarely, something as-yet-to-be-identified possesses me to share the poem with others. I'm tickled that my first published poem, "Crosses," appeared in one of the literary journals published in my hometown of Dayton, Ohio. The journal is "Flights," published by the Department of English at Sinclair Community College and you can read my poem on page 119 (and the entire journal, for that matter) on the Flights website. A few week's after my mother's passing, I wrote a draft of this poem on my iPhone notes feature... and promptly forgot about it. 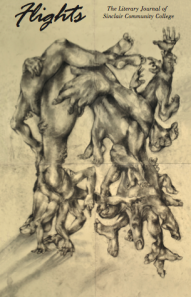 A few years later, I was inspired by the morning poetry instructor, and revised my draft poem into "Kits," which you can read by clicking here: http://slipperyelm.findlay.edu/authors/2014-2/sharon-short/kits/ The poem was published in Slippery Elm Literary Journal.